Japanese news publication The Nikkei has confirmed that a Mario Kart 8 web-based application is coming to smartphones and tablets. 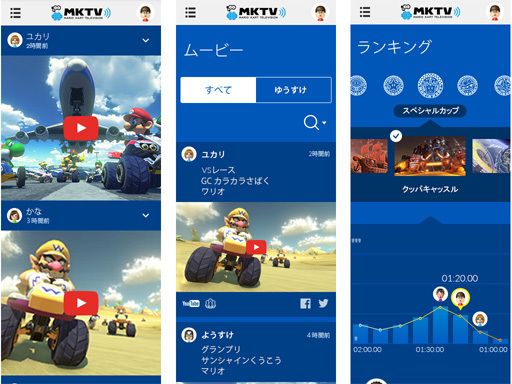 You can check the application to watch videos uploaded from Mario Kart 8. You can also check out the online status of your friends. Sounds cool that Nintendo is really reaching out to mobile in a different way without compromising their principals of their foundation. Maio Kart 8 app could really amp things up not only for the game’s features but promoting the game and Wii U’s existence on a global scale. Unless it does something truly useful or interesting, I probably won’t use this app, but it’s existence will be advertising for Nintendo and I can endorse that. They need to make a NN app, with friend list, Miiverse, eShop and Download Management! Indeed, indeed. add eShop automatic pre-order download feature and I’m all in for it. Nintendo is really upping their game and getting into areas they would traditionally stay away from. Its good to see this and hopefully is a sign of change down the road. This is a smart move for Nintendo. It’s jumping into the Smartphone game with a simple companion app, Honestly it’s exactly what I was suggesting that they do. It doesn’t give up their IPs for cheap games yet it puts them on peoples’ smartphones and tablets. Very forward thinking. Good job, Nintendo. This is the perfect way to use smartphones/tablets to their advantage. Maybe this is what Nintendo was talking about when they said they wanted to “experiment” with smartphones/tablets, but weren’t going to be releasing their software on them. Either way, this is a great way to go about it (and hopefully it will increase their overall presence – their Wii U needs it).